Some firms specialize in day-trading for clients. 1. Can You Buy & Sell a Stock the Same Day? 3. Can You Day Trade Your IRA? When you give your money to a trader to invest for you, it is just like hiring any other professional portfolio manager, except that the investment management method is to trade many times a day in and out of positions to take advantage of small price movements. This is called proprietary trading, and there are numerous firms that specialize in proprietary trading of customers' money. Some stockbrokers function as proprietary traders for their clients, and many private individuals day-trade for themselves and, occasionally, take on clients. Choosing a proprietary trader is done the same way you choose a mutual fund, investment adviser or stockbroker -- on the basis of past performance and methodology used. Evaluate your personal risk tolerance. Day trading or proprietary trading can be high-risk. Although many traders have performance records of greater than 100 percent annual return on investment over several years, others have much lower performance records. In fact, it is not unusual for a successful trader to go through periods of time losing money on nearly every trade. 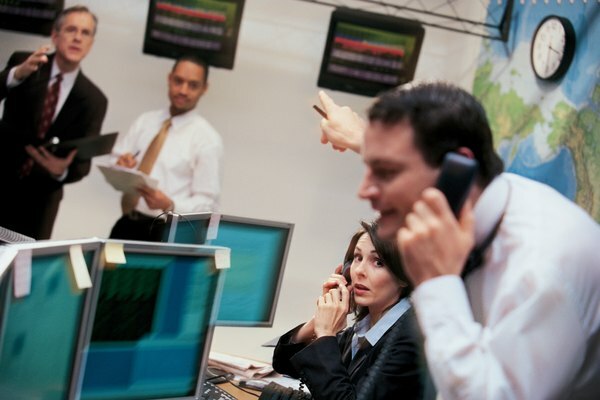 Search online for lists of proprietary trading firms. These companies seek out the best traders and regularly weed out those who do not perform. Most brokerage firms discourage their stockbrokers from trading because of the risk involved, but you might find a stockbroker at a brokerage firm who has built a business based on trading. Another way to find a proprietary trader is to ask friends if they know of a good one. Interview as many traders and proprietary trading firms as possible. Ask for documented performance records over at least three years. Look for traders that produce consistently during both rising and declining markets, and inquire about their methodologies. Many use computer programs that are capable of opening and closing positions within minutes. Other traders use price charts as a basis for their trading decisions, and still others trade primarily on intuition. Most use a combination of methods. Open an account with the trader who demonstrates the best return and whose methodology seems most appealing. At first, deposit the minimum amount of money. If the trader performs well, you can always add more later. Never invest more money than you can afford to lose, and don't give a trader money that you intend to use in the foreseeable future. Many proprietary traders have been wiped out as a result of the market volatility from the credit crisis of 2008 and the Flash Crash of May 6, 2010, when the Dow Jones industrial average lost more than 1,000 points and recovered to close slightly higher on the day, as along with other indexes. Nasdaq: Would You Profit As A Day Trader? What Is the Difference Between Buying & Trading Stocks? How Can I Practice on the Stock Market? Do You Pay a Stock Trade Fee to Buy and Sell?